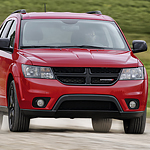 When you are shopping for a midsize SUV to get you around in Lewistown, do not look past the Dodge Journey. This popular vehicle is made to keep you and your passengers comfortable and happy, and it is set up with all kinds of interior features. Not every car is created with a purpose in mind. The new Chrysler 300, for one, is something different. As a popular full-size luxury sedan, the Chrysler 300 has a powerful engine and quick handling to drive under any conditions. 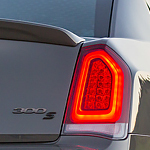 See what fuels the Chrysler 300's performance. The Chrysler 300 has a V8 engine that has been rated best-in-class. 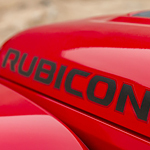 This mighty engine has 363 horsepower and 394 pound-feet of torque. 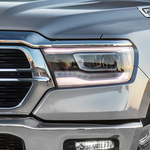 You'll be amazed at how strong the 5.7L HEMI V8 feels on the road. When you’re ready for a rugged SUV, the Jeep Wrangler may be the perfect option. 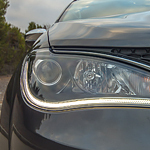 Its exterior features are capable of withstanding even the toughest elements. At Frey Motors, we’d love to show off the exterior (and the interior) to you. There are three trim levels to choose from with the Wrangler, allowing you to decide how rugged you want the Jeep to be. The Sahara boasts body-color fender flares and 18-inch wheels while the Rubicon is all about off-roading with 33-inch all-terrain tires. When business is good, the result is more frequent and larger deliveries. Unfortunately, your current work truck isn't up to the task. 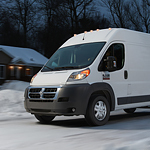 If a vehicle is required that has a roomy cargo area and ability to carry heavy loads, then the Ram ProMaster deserves a closer look. If you drive in the cold and snow, having a set of winter tires on your car or truck could help you stop faster, accelerate more reliably, and deal with difficult and slippery driving conditions. 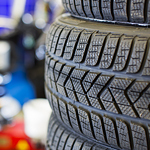 Frey Motors will make it easy to swap tires between the seasons and help you determine which ones would be best for your driving habits in Lewistown. All-season tires perform well at a wide range of temperatures and conditions but start to lose their ability to effectively grip the road in snow and extremely cold temperatures. The expert technicians at Frey Motors want you to be as informed as possible about your vehicle so that you can continue to make well-informed decisions about its care and maintenance. One of the most common issues with any vehicle is a dead battery. Learning how extreme temperatures affect the performance of a battery can help you to head off issues before they begin. The Ram 1500 offers impressive handling and a quiet ride, which is part of why it's a popular choice among light-duty pickups. This road warrior has some features, including some for safety and security. The Ram 3500 is roaring into the new year with a host of performance features designed to deliver the most capable ride on the road today. 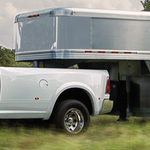 This popular heavy-duty pickup truck is equipped to handle a variety of tasks while still delivering a smooth and comfortable ride.